Just as Pennsylvania begins sprouting some medical marijuana, Congress could stomp on the garden. The Pennsylvania Department of Health gave approval this week for the first medical cannabis plants to be grown and processed into oil by Cresco-Yeltrah, a Chicago company operating in Butler. An implementation deadline for all the cultivators is set for late December. By a strange coincidence, this will come just weeks after Congress may roll back provisions intended to protect such operations from federal interference. So, just as Pennsylvania begins sprouting some medical marijuana, Congress could stomp on the garden. It all comes down to the Rohrabacher-Blumenauer amendment, an obscure part of the massive federal appropriations bill. It defunds Department of Justice actions that would prevent states from realizing a medical marijuana law. Sponsored by Reps. Dana Rohrabacher (R., Calig.) and Earl Blumenauer (D., Ore.), and in effect since 2013, the bill contains language viewed by many as the only thing preventing the DOJ from raiding dispensaries or even shutting down states' entire cannabis programs. For about 24 hours, the amendment was set to expire at the end of September. Medical cannabis patients, advocates, and industry folks screamed loudly. Though the media followed every move, the convoluted subtleties of this federal-level brinksmanship wasn't easily conveyed. On Sept. 6, Rohrabacher made a speech on the House floor, imploring Congress to keep the rider. Then, during meetings with the House GOP to set the voting agenda, the medical marijuana provision was dropped. Rep. Duncan Hunter, another California Republican, told Roll Call the concept "split the conference" and was seen as too divisive within the party. "This bad decision by the House Rules Committee is an affront to the 46 states and the District of Columbia that have legalized use and distribution of some form of medical marijuana. These programs serve millions of Americans. This setback, however, is not the final word. As House and Senate leadership negotiate a long-term funding bill, we will fight to maintain current protections." By Sept. 8, the initial fear had suddenly subsided. President Trump and Senate Democrats announced an extension of the federal budget, which ended up saving the Rohrabacher-Blumenauer amendment, more by a fluke of process than by any intent. Right now, we are in the calm eye of the storm because the language is set to expire instead on Dec. 8. Justin Strekal, political director at the National Organization for the Reform of Marijuana Laws (NORML), pointed out that Sen. Patrick Leahy (D., Vt.) has already introduced and passed the Rohrabacher-Blumenauer amendment in the Senate Appropriations Committee. "The amendment will be considered in a bicameral conference committee despite the fact that the House was denied the opportunity to express its support," Strekal said. "The Department must be in a position to use all laws available to combat the transnational drug organizations and dangerous drug traffickers who threaten American lives." 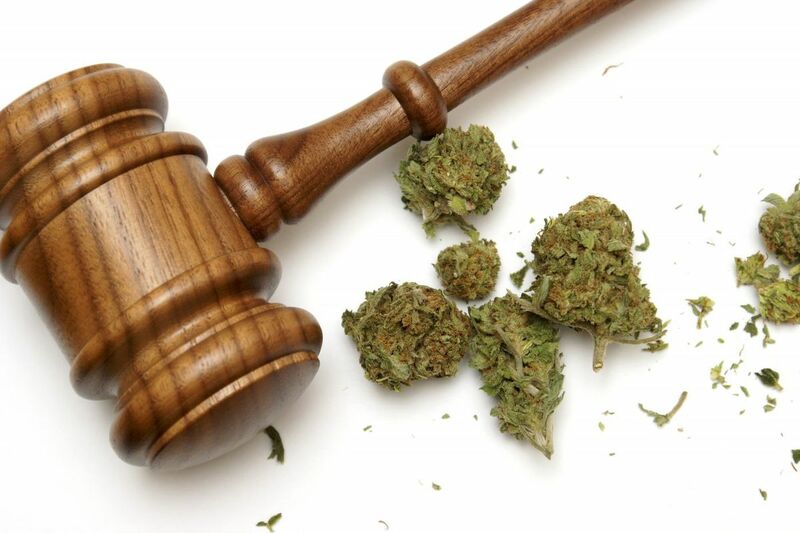 Sessions may be on the attack because a few federal judges have also jumped into the fight, citing the Rohrabacher-Blumenauer amendment's language as a reason to question charges or ease sentencing for marijuana growers. The last time the Rohrabacher-Blumenauer amendment came up for a vote, the roll call from Pennsylvania showed that Reps. Barletta, Dent, Fitzpatrick, Kelley, Marino, Meehan, Murphy, Rothfus, Shuster, and Thompson — 10 of 18 in the delegation, all Republicans — voted no. "If the Republican Congress decides to strip the amendment out of the Senate budget, over two million patients' continued access to their medication will rely on the prohibitionist whims of Attorney General Jeff Sessions, who has been lobbying aggressively for the ability to use the full force of the Justice Department to crack down," Strekal said at the time. The core of the Rohrabacher-Blumenauer amendment is not really about covering warehouses full of cannabis. Pulling the DOJ funding is about the concept of protecting state governments from federal interference, and that includes state employees and regulatory departments. To be clear, the DOJ has never even hinted at threatening medical marijuana program staffers. Still, anti-cannabis governors like Chris Christie in New Jersey and Christine Gregoire in Washington publicly used the fear of federal agents arresting health department employees for issuing medical marijuana ID cards as reason to delay (N.J.) and even veto (Wash.) their state laws. In the extreme, Christie and Gregoire hypothesized that appointed officials — like Pennsylvania Health Department Commissioner Rachel Levine — would be perpetrating a whole slew of federal crimes. By performing their duty of implementing a medical cannabis program, they could be seen by the feds as leading a vast conspiracy to manufacture and distribute large quantities of illegal drugs. The fact that Sessions views the Rohrabacher-Blumenauer amendment as possibly limiting his enforcement powers is ominous. That Christie has an ear at the DOJ and the Oval Office is even worse. Without the Rohrabacher-Blumenauer amendment in force, all of the imaginative possibilities of actual federal interference track a little closer to hitting shore among the many storms of this administration. The House and Senate have entered a staring contest over much of the federal budget. Whoever blinks first loses the most. Right now, the Blumenauer-Rohrabacher amendment is contained in the Senate Appropriations bill. If the House agrees, then it remains in force. If the amendment expires on Dec. 8, Pennsylvania will be the first to implement a medical marijuana program without the protections since 2013. So far, Pennsylvania officials have admirably dealt with a variety of threats from the Trump administration on everything from travel bans to sanctuary city status. Medical cannabis may require even more resolve. Even if the Rohrabacher-Blumenauer amendment is ultimately retained, it's only for another fiscal year. Until federal marijuana prohibition comes to a definitive end, the tension between the states and Congress over medical cannabis will continue to grow.